Right now an EVGA GeForce GTX 1070 Ti with ACX 3.0 cooling is $470 at Amazon, B&H, and Newegg. The graphics card price thaw continues, and just like Amazon’s PC sale last week you can get a fantastic graphics card today at its MSRP: Amazon, B&H Photo Video, and Newegg have the EVGA Nvidia GeForce GTX 1070 Ti SC Black, which we gave 4.5 out of 5 stars when it launched, for $470. Considering the ridiculous heights of graphics card prices in recent months that still counts as a sale. That’s about $80 cheaper than the “usual” price for this card in recent weeks. It’s not clear if this is a permanent price cut/return to sanity or a short-term sale. For instance, B&H says its price will only be valid until just before midnight Eastern on Thursday, June 7. Amazon also shows a price cut of $80, while Newegg displays $470 as the accurate MSRP. This particular graphics card features 8GB of GDDR5 RAM, a clock speed of 1607MHz (it boosts to 1683MHz), and 2432 CUDA cores. It has one DVI-D, one HDMI 2.0b, and three DisplayPort 1.4 ports. 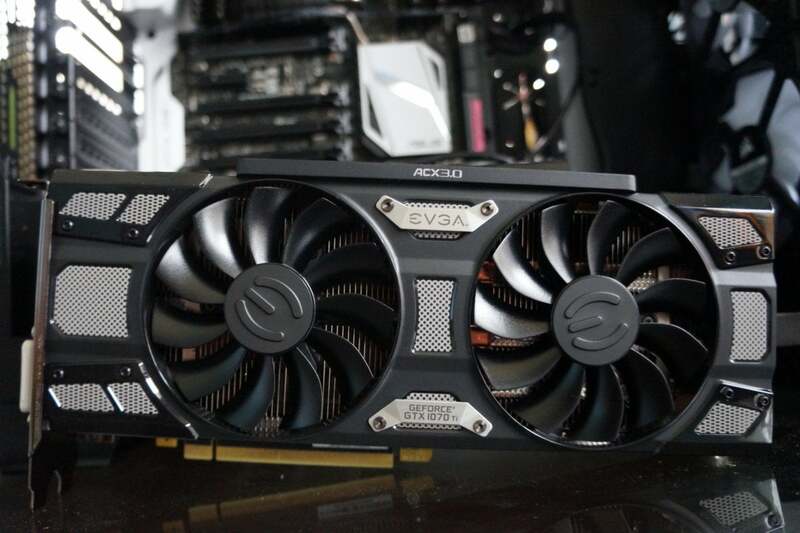 The card also has EVGA’s ACX 3.0 cooling technology built-in, which we called an “excellent custom cooling” system in our review, and the company’s Precision XOC software makes overclocking to faster speeds as easy as pushing a button.